Duke University researchers recently reported that just six months of aerobic exercise—for 35 minutes, three times a week—may improve executive function in older adults who have cognitive impairments. Before they began doing aerobic exercise, the previously sedentary study participants had difficulty concentrating, making decisions, and remembering. 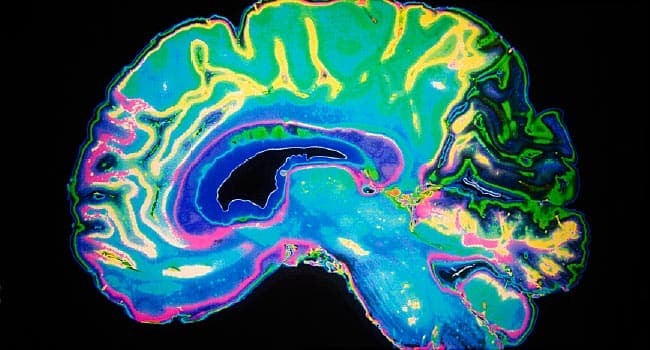 The good news: “These preliminary findings show that aerobic exercise promotes improved executive functioning in adults at risk for cognitive decline," the authors said. This paper, “ Lifestyle and Neurocognition in Older Adults with Cognitive Impairments: A Randomized Trial ,” was published online ahead of print December 19 in Neurology , the medical journal of the American Academy of Neurology. The most exciting aspect of this research is that after six months of tri-weekly aerobic workouts, older adults who exercised regularly appeared to significantly reverse chronological aging in the brain based on improved cognitive test scores that were on par with someone much younger. "The results are encouraging in that in just six months, by adding regular exercise to their lives, people who have cognitive impairments without dementia may improve their ability to plan and complete certain cognitive tasks," first author, James Alan Blumenthal of Duke University Medical Center, said in a statement. The cohort for this study consisted of 160 sedentary men and women over age 55—with an average age of 65—who reported problems with thinking skills and had risk factors for cardiovascular disease (such as hypertension) but did not have dementia. At the beginning and end of this six-month study, the Duke researchers evaluated participants' thinking and memory abilities using standardized cognitive testing. They also conducted a battery of tests to measure cardiorespiratory fitness and heart disease risk factors by screening blood pressure, lipids, and blood glucose. The overall goal of Blumenthal and his team was to examine the effect of both diet and exercise on cognitive impairment. For the diet portion of this study, the researchers used Dietary Approaches to Stop Hypertension (DASH). This low-sodium diet is high in fiber and rich in fruits, vegetables, beans, nuts, low-fat dairy products, whole grains, and lean meats. The DASH diet is designed to help individuals with hypertension lower their blood pressure. At the beginning of this study, participants were randomly divided into four groups: (1) aerobic exercise alone, (2) DASH diet alone, (3) both aerobic exercise and DASH diet, and (4) health education information via the telephone. After analyzing the results from the four different groups, the researchers found that participants who exercised regularly showed significant improvements in their thinking skills compared to those who did not exercise. "There was no improvement in participants who only consumed the DASH diet, although those who exercised and consumed the DASH diet had greater improvements compared to health education controls," the authors said. Notably, participants with cognitive impairment who were sedentary at the beginning of this study and only received health education on the phone—but did not change their diet or start to exercise—showed a steady decline in their performance on executive function tests throughout the six-month study. After reading about this study yesterday, I was curious to learn more. So, I reached out to James Blumenthal, to see if he could answer a "million-dollar" question for me. Below is a transcript of our email correspondence (edited for clarity). Christopher Bergland: "Greetings, James Blumenthal—Huge thanks to you and your colleagues at Duke University for this valuable and important research on the improvements to executive function that are possible after just six months of regular aerobic exercise. In the public press release from the American Academy of Neurology about your latest study, it says, "People assigned to the exercise groups exercised three times a week for 45 minutes each session which included 10 minutes of warm-up exercises and 35 minutes of aerobic exercise, such as walking, jogging, or cycling on a stationary bicycle." In this statement, I didn't see any mention of whether participants' aerobic exercise was of moderate intensity, moderate-to-vigorous physical activity (MVPA) or some other specific exercise intensity. As you know, there is an ongoing and heated debate about the possible neurocognitive benefits associated with varying degrees of aerobic intensity during a workout. Some experts recommend MVPA as the gold standard, while others swear by High-Intensity Interval Training (HIIT). So, you raise an excellent point. Unfortunately, our study design did not vary exercise intensities systematically and did not allow us to determine if there was an optimal exercise intensity to improve cognitive performance. Participants received a rather generic exercise prescription (e.g., 70% heart rate reserve), which was individualized based upon patients health status, fitness level, and cardiac status. Exercise intensity also progressed over the 6 months as participants got progressively conditioned (e.g., 65% initially, then 70% followed by 75%). Interestingly, we did note that greater improvements in aerobic fitness were correlated with greater improvements in executive functioning. To the extent that more intensive exercise can promote greater improvements in aerobic capacity, the implication would be that higher intensity training could produce greater benefits. However, there is a good deal of variability in response to exercise training especially among older adults, and the issue of whether a more rigorous exercise prescription (more intense, more frequent, longer duration, etc.) could produce greater benefits is an empirical question that would need to be evaluated in future research. Hope this helps."